P.J. Wallbank Springs sponsors new practice space for robotics teams - P.J. Wallbank Springs, Inc. 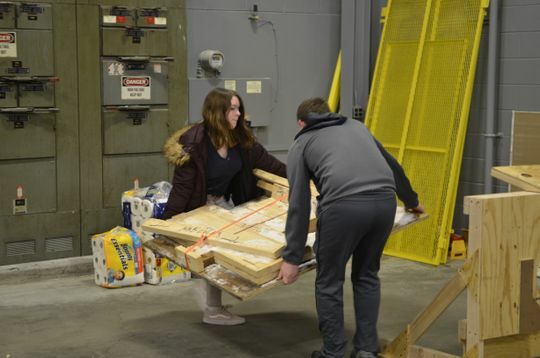 Port Huron High School students Olivia Hudson, 16 and James Dumen, 15, stood near a robot their team had wheeled through the door of 2005 Petit St. in Port Huron Friday. They waited in a walled off section of building provided by P.J. Wallbank Springs for local robotics students to use as a practice space. Olivia said now they can spend that time working on their robots in the newly dedicated space, not having to find or build practice areas. "We needed extra room to test," she said. The need for space was part of a wish list made by robotics coaches and was featured in the Times Herald. Following the story, P.J. Wallbank Springs president Chris Wallbank offered to help. Now, teams with the Blue Water Area Robotics Alliance are going into their current season with a brand new shared practice space. Team members came by Friday night to set up the field they will all practice on. HM Construction in St. Clair and MD Carpentry of Richmond also pitched in to help build the new practice field. Following months of ironing out the details involved in playing host to high school students and mentors from across the county — as well as incorporating BWARA as a 501C3 — the site will be ready for this year’s practices following Friday’s event, according to a statement from the group. Wallbank stopped by to wish the students well in their new space, saying they should have the resources to help them compete with other teams across the state. Wallbank said he provided the space because he's from the Blue Water area and believes in the area. "All these people have shown up to be part of building this," he said. The idea started last spring when mentors at Memphis Community Schools robotics program Dan Kiehler and Chad Miller began looking for a space. The wanted to have a year-round space where teams could collaborate, share tools and build a practice field. "It's nice seeing it all come together," Kiehler said. 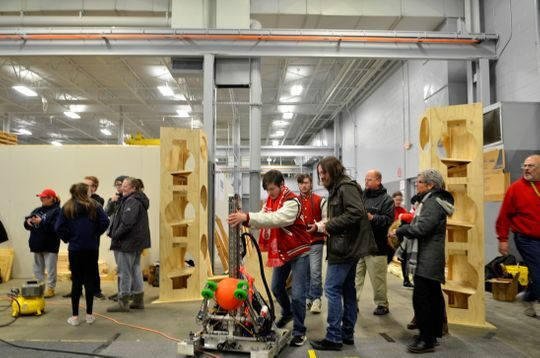 Up until this point, teams in the Blue Water Area Robotics Alliance have mostly practiced in separate spaces available in their respective districts. But often times, they do not have a permanent space to set up in. Some teams have driven as far as Flint to use the FIRST Robotics Community Center at Kettering University. 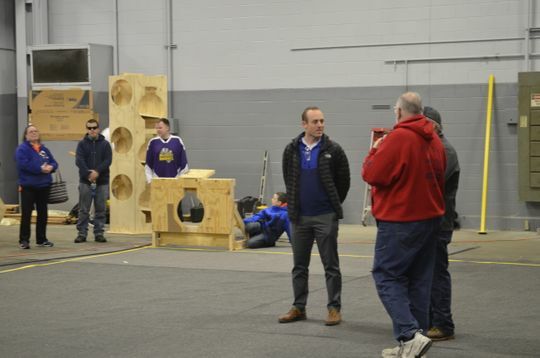 John Antilla, BWARA president and coach of Capac High School Team 2604, Metal and Soul, said the alliance built a wall to separate their section of the building from the rest of P.J. Wallbank's operation. "This is a fantastic start, but it isn't finished yet," Antilla said. In the future, BWARA hopes to raise the $40,000 to purchase an official FIRST Robotics game field and some basic necessities for the site, including a new door, a cement sidewalk for carting robots from the parking lot, cleaning supplies, tables and chairs, a few computers and a few cameras for security and live streaming the field. Anyone interested in sponsoring the Blue Water Area Robotics Alliance can contact Antilla at (586) 246-6972. "I think the biggest thing we'll see out of this is the interaction between the teams," said Sebastien Cournoyer, coach for Algonac's Team 5860, Full Metal Muskrats. "All the kids are working together." Olivia said she's grown as a result of her time in robotics. "When I first started out I was not very outgoing," Hudson said. "I learned to speak up more."